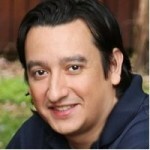 Thursday is guest post day here at Duct Tape Marketing and today’s guest is Willie Pena – Enjoy! In the next few years, marketing will be almost totally mobile. Mobile gadgets offer a bevy of versatile tools and methods for collecting data from consumers on the go — and almost everyone is on the go but ever-connected to people and businesses through gadgets like iPads, smartphones, Kindles, tablets and other devices. These devices present unprecedented opportunities for a company to learn about its target audience and customize its business and promotions to respond to consumer needs. There are many benefits that make mobile marketing research more attractive than traditional forms of research: mobile research is faster, less costly, way more interactive and attracts far more respondents than print and phone surveys. Since mobile devices typically come with an array of apps, it is through apps that many businesses will funnel their future marketing efforts. By using apps, companies can take advantage of touch screens, swipes and other responsive mobile technology features while asking customers questions in polls, games and other interactive platforms. Because mobile technology, such as the innovative iPad, encourages users to express themselves beyond words, businesses can create apps and digital surveys that allow users to draw, record audio feedback, record video reviews or share images of themselves and their friends or family using products. The traditional survey model will shift as businesses design app-based questionnaires that take advantage of the inventiveness and options available on mobile devices. With most mobile devices coming equipped with GPS technology, companies can use tracking software to verify survey respondents’ locations with more detail. In cases where companies interact with consumers during shopping, such as through promotional text messages or popular QR codes that shoppers can scan and read on their smartphones, businesses can study in-store activity, consumers’ traveling habits, where customers go before and after a visit to a company and what leisure places might to be patronized by consumers. Often, consumers will even volunteer this information by posting places visited on social media. All this data is useful as it can show if buyers visit competitors, what neighborhoods or locales have people who are more likely to embrace a particular brand and in what contexts consumers might likely use a product. Geolocation can help create a more in-depth profile of people within a target or niche audience. GPS isn’t the only way marketing groups can probe audience behavior. People using mobile devices while running errands and shopping often are at the mercy of hotspot routers to maintain Internet access. These routers will be increasingly used by market researchers to study and track consumer behavior; some frameworks may allow researchers to identity and study impulse purchases. At the very least, marketers can analyze consumers’ searches for related products, product features and service descriptions — possibly while a customers is on the verge of entering a business to complete a transaction. 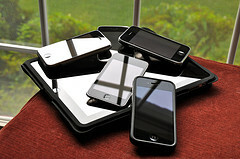 Businesses can take advantage of several inventive ways to ask mobile device users to take surveys, whether its through mobile ads/banners, video feeds, BlueTooth messaging, rich media animation, apps, search page listings, newly popular automated voice services or even sponsor messages built into mobile devices upon purchase. Some companies, particularly those in the Consumer Packaged Goods (CPG) industry are creating special mobile sites that allow shoppers to click a photo or link to immediately contact a special call center; these call centers can be used for spontaneous surveys to gather details on shopper needs, preferences and concerns. By using mobile technology to expand how to solicit consumer feedback, businesses will be able to better understand brand engagement. While some people might ignore a traditional mailed survey or emailed link to a survey, consumer might find these dynamic mobile invitations too fun to pass up. Advanced software is becoming increasingly available to study the mobile advertising impact. Marketing researchers have often relied on analytics applications designed for traditional websites and for people who use personal computers. Such software does not provide reliable mobile data; however, special new mobile research tools can provide accurate and reliable information on click-through-rates for mobile campaigns, general mobile traffic and customer details. Willie Pena is a freelance writer, video producer, visual artist, and music producer. He prefers the Oxford comma. Catch his rare blog posts on williepena.com, or connect with him on LinkedIn.